Brick masonry walls are not commonly used as a basement wall but it can be constructed to serve this purpose. Brick basement wall must be built according to design specifications and drawings so as to be able to resist both imposed lateral loads from backfill and vertical loads of superstructure. Proper construction practices adequate and accurate wall alignment setting and covering unfinished works shall be considered to prevent future problems. Brick basement wall should be covered with a waterproof or damp proof coating to help prevent ground water from penetrating the masonry walls. Materials used in the construction of basement masonry wall shall be properly protected at construction site to prevent the influence of harmful substances. Wet bricks one day before brick are to be used by placing a hose on the pile of brick until the water runs from the pile. In extremely warm weather, place hose on pile several hours before brick are to be used. Cleaning reinforcement before being placed, remove loose rust, ice and other coatings from reinforcement. Initially, review the approved stake survey. Make sure that correct perimeter excavation line is maintained to achieve accurately aligned foundation. Remove loose, degradable, and unstable material and fill it with granular fill. Pour concrete as soon as possible to prevent excess moisture due to rain and snow. Foundation alignment shall be ensured so as to match brick center with foundation centerline. Roughen foundation surface to improve its bond with fist course of brick basement wall. Lay brick plumb and true to lines. Lay with completely filled mortar joints. Butter ends of brick with sufficient mortar to fill head joints. Rock closures into place with head joints thrown against two adjacent brick in place. Do not pound corners and jambs to fit stretcher units after they are set in position. Where an adjustment must be made after mortar has started to harden, remove mortar and replace with fresh mortar. Hold vertical reinforcement firmly in place by means of frames or other suitable devices. Horizontal reinforcement may be placed as brickwork progresses. The Brick Industry Association (BIA), recommends that Type M mortar be used in brick masonry in contact with earth. Type S mortar is recommended for use in reinforced and unreinforced masonry where higher flexural strengths than Type N are required. 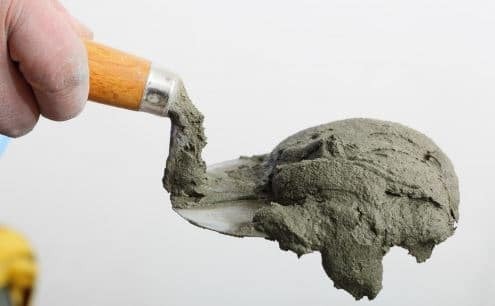 Suitable grouting techniques is used to pour the grout, and then provide enough time to cure it so that the wall gain sufficient strength. Do not place backfill material before concrete block walls have been properly cured and braced or the subfloor system is in place. Brace the wall till the sub-floor system is constructed. Backfilling shall begin after the installation of drainage and waterproofing system is finalized. 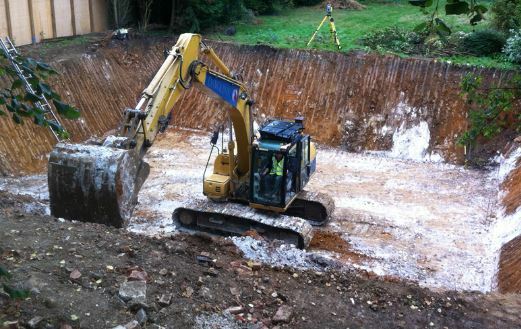 Backfilling should take place in several lifts using material which is free of large stones, frozen earth, organic materials or construction debris. Finally, care must be taken not to damage the drainage system, waterproof coating or exterior insulation during backfilling. Brick basement wall should be covered with a waterproof or damp proof coating to prevent groundwater penetration and rising damp. This coating should extend above finished grade. 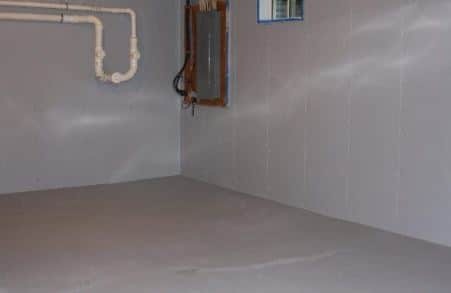 damp proofed is used if hydrostatic pressure is not occur and waterproofed is employed if hydrostatic pressure exist. 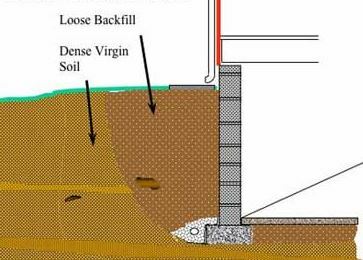 Hydrostatic pressure may exist due to a high water table or poorly draining backfill. Perforated pipe or drain tiles can be used to facilitate drainage. Drainage and waterproofing systems should be thoroughly inspected before backfilling. It is also important to use a through-wall flashing at the base of the wall above grade so that water penetrating the walls above grade will not enter the top of the foundation walls. Preferably, this flashing should lap over the top of the waterproof or damp proof coating. At construction progression, cover top of wall with strong waterproof membrane at end of each day. Cover partially completed walls when work is not in progress. Extend cover minimum of 610 mm down both sides and hold it securely in place. Use windbreaks when wind is in excess of 15 mph. Prevent the application of uniform floor or roof loading for at least 12 hr. after building masonry walls. Maximum variation from plumb in vertical lines and surfaces of, walls is 6.4 mm in 3 m, 9.6 mm in a story height not to exceed 6 m, or 12.7 mm 12 m or more. Maximum variation from plumb for external corners, expansion joints and other conspicuous lines 6.4 mm in any story or 6 m maximum, 12.7 mm in 12 m or more. Maximum variation from plan location of related portions of walls 12.7 mm in any bay or 6 m, 19 mm in 12 m or more. Brick can be used for basement wall construction? 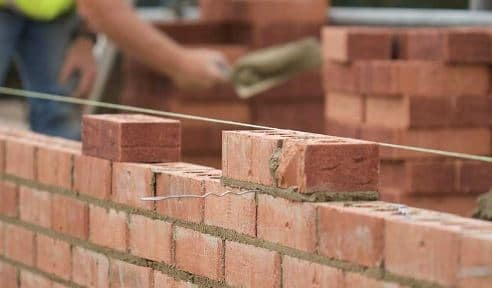 Why is it necessary to wet bricks before brick basement wall construction? How many days shall be allocated to allow brick basement wall to gain strength before applying concentrated loads? Brick basement wall should be covered with a waterproof or damp proof coating to prevent groundwater penetration and rising damp?